Cannigione is an ancient village in Italy which is a amongst the luxury superyacht destinations for charter yachts visiting the Costa Smeralda. Cannigione is quite a tranquil little resort port situated on the north-eastern coast of Sardinia. Cannigione is actually fairly close to Olbia and the Costa Smeralda area making it a popular yachting location. 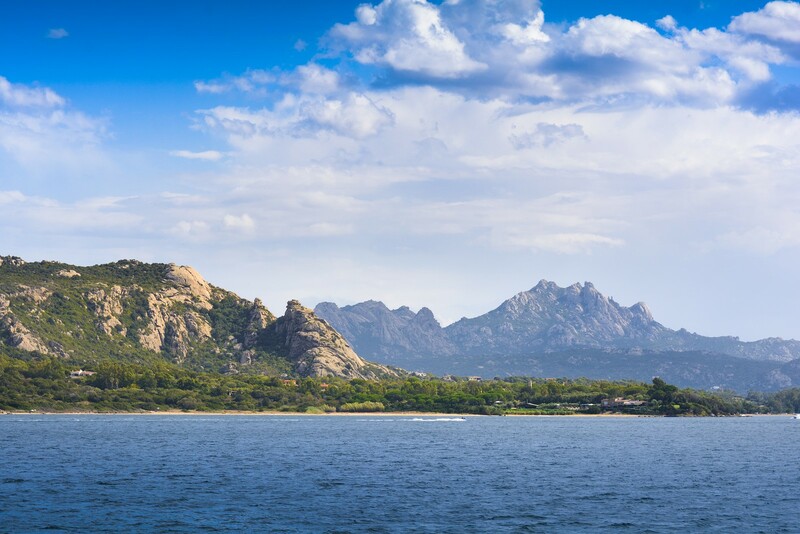 Like the Costa Smeralda it's close to several beautiful beaches, beaches that often feature a craggy backdrop of granite mountains and the azure blue Mediterranean waters in the front. This port, however, doesn’t necessarily boast the carefully sculpted resort developments nor the higher prices of that more famous stretch of Sardinia’s famous coastline. Its appeal is anchored on the ageless charm and allure of authentic rural setting which is typical of rustic villages in the region. It lies within the boundaries of the town of Arzachena on the Island of Sardinia. The Village of Cannigione is located just 5 km away from the central district of Arzachena. It started out as a quaint fishing village until tourists and yacht charter aficionados discovered the potential of the village as a prime tourist destination. Today, Cannigione is one of the thriving tourist destinations in Italy, although fishing still remains as part of their daily routine. Being a former fishing village, Cannigione became the favorite destination of superyachts and luxury yacht charter enthusiast who are interested in deep sea fishing. Aside from this unique and exciting treat, the village also offers other popular outdoor and water sports activities, and you no longer have go to other places to experience and enjoy these outdoor adventures and fun activities. In addition to this, sailors and tourists find Cannigione as a perfect base from which they can explore other popular destinations in the Maddalena Archipelago as well as other renowned holiday resorts like Costa Smeralda, a top tourist spot in Italy and famous for its stunning private bays and pristine beaches. Those in the know come in the European summer months to holiday in the quaint village of Cannigione to sample the ambience and to enjoy the water based activities they can enjoy off their luxury yachts along the famed pristine beaches with their warm clear water. Other attractions of this popular tourist destination include the old houses that line its main street, the restaurants and souvenir shops and boutiques. These main attractions of Cannigione showcase the distinct blend of Catalonian, Genoan and Roman influence, giving the town its unique allure and charm. You should include in your day itinerary a leisurely walk along the town’s main street. This is where you can find the best restaurants and other food venues that serve local dishes and other delectable Italian gastronomic treats. The aromas that pervade from the local taverns are enough to whet your appetite, and you will surely relish the dining experience where local chefs whip up all-time favorite Sardinian recipes as well as international dishes. In fact, seasoned sailors and repeat visitors to Cannigione consider the trip to these restaurants and other food outlets an all-important experience by itself. This once quaint fishing village is a favorite choice of tourists and seasoned sailors who are into water sports and other outdoor activities. This is the main reason why yacht vacationers and holidaymakers come to this popular holiday destination. It’s about relaxing in nature’s bounty and beauty. Aside from the assortment of activities along its beaches, one can also try bicycle riding and hiking in several idyllic spots within the area. The diversity of activities and attractions in Cannigione Sardinia are enough reasons for you to include it in your planned crewed luxury yacht charter holiday in Italy.